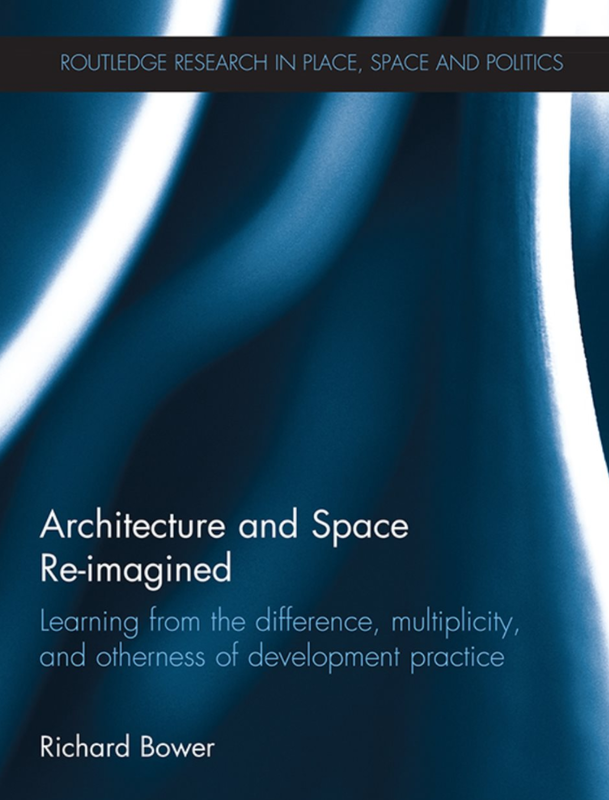 Newly published in the Routledge Research in Place, Space and Politics – Architecture and Space Re-imagined: Learning from the difference, multiplicity, and otherness of development practice, Richard Brewer. “As with so many facets of contemporary western life, architecture and space are often experienced and understood as a commodity or product. The premise of this book is to offer alternatives to the practices and values of such westernised space and Architecture (with a capital A), by exploring the participatory and grass-roots practices used in alternative development models in the Global South. This process re-contextualises the spaces, values, and relationships produced by such alternative methods of development and social agency. It asks whether such spatial practices provide concrete realisations of some key concepts of Western spatial theory, questioning whether we might challenge the space and architectures of capitalist development by learning from the places and practices of others. Exploring these themes offers a critical examination of alternative development practices methods in the Global South, re-contextualising them as architectural engagements with socio-political space. The comparison of such interdisciplinary contexts and discourses reveals the political, social, and economic resonances inherent between these previously unconnected spatial protagonists. The interdependence of spatial issues of choice, value, and identity are revealed through a comparative study of the discourses of Henri Lefebvre, John Turner, Doreen Massey, and Nabeel Hamdi. These key protagonists offer a critical framework of discourses from which further connections to socio-spatial discourses and concepts are made, including post-marxist theory, orientalism, post-structural pluralism, development anthropology, post-colonial theory, hybridity, difference and subalterneity. This entry was posted in Books, Geography, Social Science and tagged architecture, critical spatial theory, Richard Brewer, Routledge Series by Clive. Bookmark the permalink.